Just as the Christmas decorations seem to appear on store shelves earlier each year, the appearance of back-to-school supplies signals that a new school year is approaching. Whatever became of all those people who predicted that we would be a paperless society by now? At the University of Central Florida, the first of the new students—Class of 2022—are already here. Thousands of them take courses before the start of the regular school year. What I have noticed in three decades of teaching is that while teaching techniques have changed with the addition of online classes and streaming videos of lectures, the students remain largely unchanged. 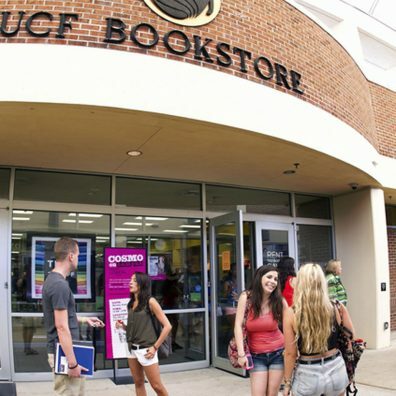 In the bookstore, the incoming students and parents load up on everything from textbooks to UCF key chains. Always popular are variations of shirts with either “UCF Mom” or “UCF Dad” printed on them. The same parents who ask the questions on the tour are the ones who accompany their children to the store. Occasionally they will ask for another course: “Is this biology?” A few students don’t make the first class at all, explaining that they went to Classroom Building I instead of Engineering Building I. The rise of the computer has created a whole new set of excuses for students. “The dog ate my homework” and “I left it at home” have given way to “My battery died” or “The internet connection in my dorm went down.” Computers allow me to track assignments, I can tell how long students spent on the assignment and when they were submitted. I am always amazed at how many students finish their assignments just a minute before the deadline. UCF has become a magnet for international students and it is common for 10 percent of the students in my class to come from outside the United States. I had a student whose family came to the United States on a raft from Cuba and another whose family left Vietnam in a small boat and floated in the South China Sea before being picked up by a passing freighter. Students have escaped revolutions in Africa, earthquakes in Haiti and drug cartels in South America. They often provide a different perspective. When I talked about the war in Vietnam, the Vietnamese student talked about the impact on her family, a Haitian student talked about American involvement there, and a Jamaican student knew more about the early civil rights leader Marcus Garvey than I did. The university has also drawn thousands of veterans. They are older, often already have families and are among the hardest working students in the class. They bring discussions of the wars in Iraq and Afghanistan to life. Something that has never changed is my inability to predict student success. I keep thinking that after all these years there must be a way to figure out how well a student will do just by sight. But they always seem to surprise me — both positively and negatively. When I started teaching at UCF there were 16,000 students, largely commuters. Today, there are more than four times that many. And yet while it seems as though adding 50,000 students might reduce standards, test scores of students keep going up. The one thing that doesn’t change is the question that has been asked since the first school opened: Will this be on the test? Jim Clark is a lecturer in UCF’s Department of History. He can be reached at James.Clark@ucf.edu.